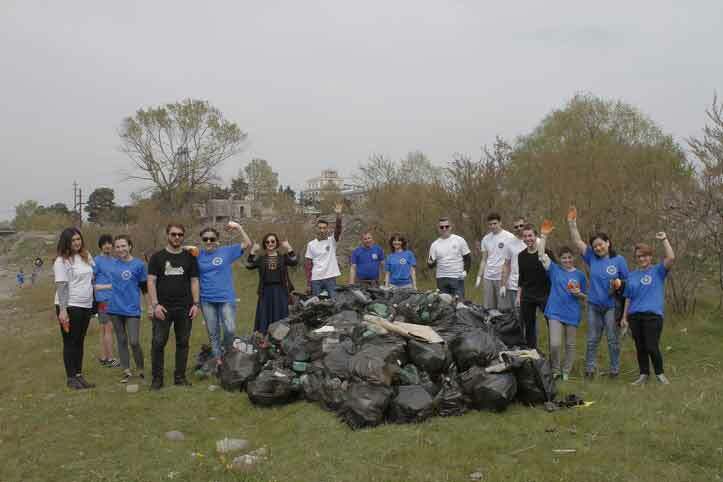 Regional representation of LEPL NATO and EU Information Center in Kvemo Kartli and Greens Movement/ Friends of the Earth - Georgiawithin the frame of NATO weekjointly organized a clean up action in town Rustavi. During the action Mtkvari river shoreline has been cleaned up. In the action along with organizers participated representatives of Rustavi Development and Innovation Center, students, representative of NATO and EU Information Center David Kirkitadze. Around 8m3 of waste were collected and disposed by relevant sercices at the landfill. About 30 people took part in the action. 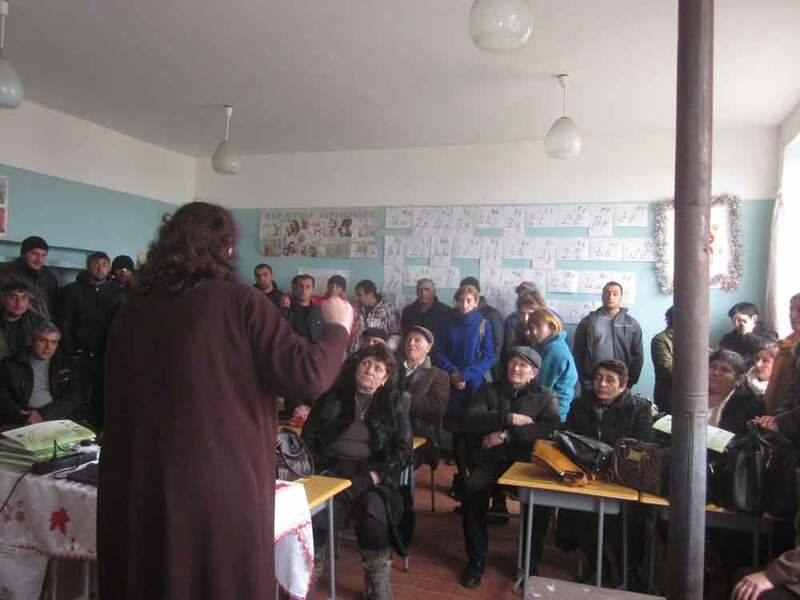 The seminar was held with local communities in village Bareti public school of Tsalka municipality within the framework of the project "Clean Up Georgia - Phase III", organized by the Greens Movement of Georgia /Friends of the Earth of Georgia. 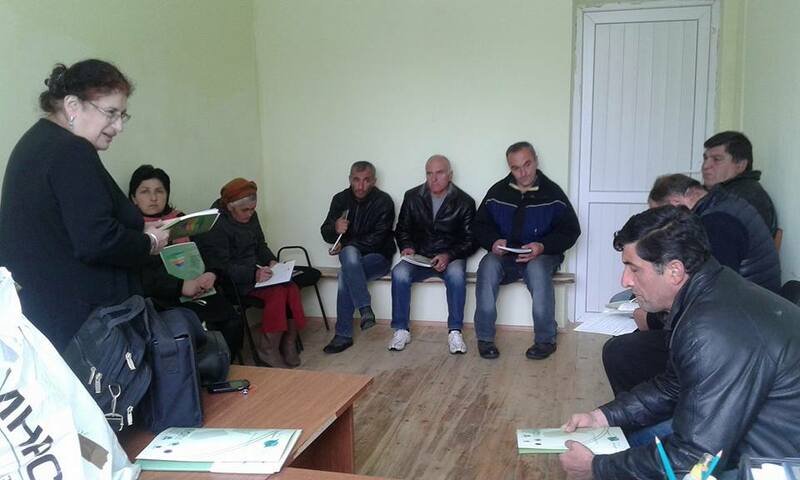 The seminar was conducted for rural communities in villages Tserovani and Galavani of Mtskheta Municipality within the framework of the project "Clean Up Georgia - Phase III" , organized by the Greens Movement of Georgia /Friends of the Earth of Georgia. During the meeting project implementation group member provided information to local representatives on progress of implementation of ongoing project and planned activities within its framework. The purpose of the meeting was to provide information to the community representatives on priority issues related to waste management in the country, as well as international practices existing in the field, problems caused by generation of solid waste and stressing measures to be undertaken for solving the problems, community role in addressing the challenges existing in this regard. 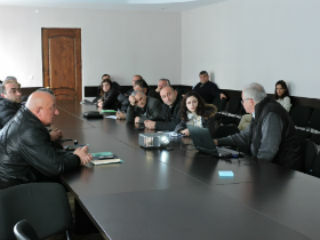 NGO “Ecological Awareness and Waste Management” held a meeting in Bolnisi Municipality in Kvemo Kartli Region on March 30, 2016. 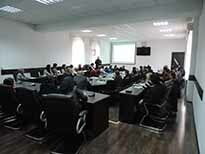 The meeting was held in the framework of the ‘Clean Up Georgia – Phase III” Project and was attended by the representatives of Bolnisi Gamgeoba (Administrative Body of the Municipality) and subordinate administrative units (a total of 19 people). 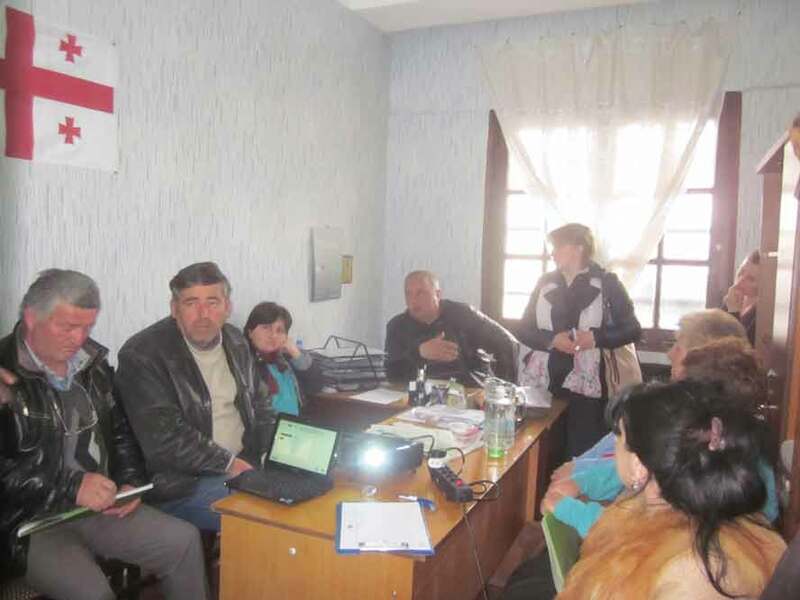 The Greens Movement of Georgia/ Friends of the Earth-Georgia in the framework of the project "Clean Up Georgia - Phase III", organized a meeting with deputy Gamgebeli of Bolnisi municipality and the population of Kvemo Bolnisi. 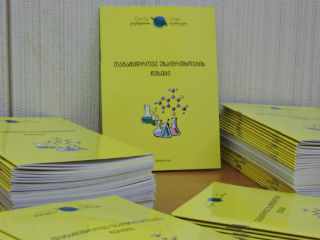 NGO "Ecological Awareness and Waste Management” produced a brochure “Modern Safety Rules” in the framework of the ‘Clean Up Georgia – Phase III” Project for Georgian educational institutions, which describes the guidelines of registration, storage, use and disposal of non-used and obsolete chemicals, utensils, equipment, and other chemical substances accumulated in the laboratories of Georgian schools and institutes. 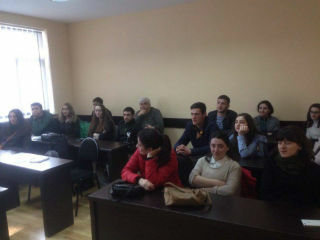 NGO “Ecological Awareness and Waste Management” conducted a training of students at the St. Andrew Georgian University in the framework of the ‘Clean Up Georgia – Phase III” Project. The training was dedicated to the theoretical and practical issues of safe usage and storage of hazardous waste (chlorine/chemicals). On March 28, 2016, Georgian Society of Nature Explorers “Orchis” arranged a meeting in Kaspi Municipality with the participation of the Governor of the mentioned municipality, his Deputy, representatives of Akhalkalaki, Tsinarekhi, Kvemo Chala, Kodistskaro, Zemo Khandaki, Khovle, Doesi, Teliani, Lamiskana, Kvemo Gomi, Samtavisi, Agaiani, Okami administrative units, Administration (Gamgeoba), organizations of limited Liability, non-governmental organizations, media and others. On March 22, on the occasion of Water Resources Protection Day a clean up action has been organized by the Gori regional representative of the Greens Movement of Georgia in village Mejvriskhevi of Gori district. 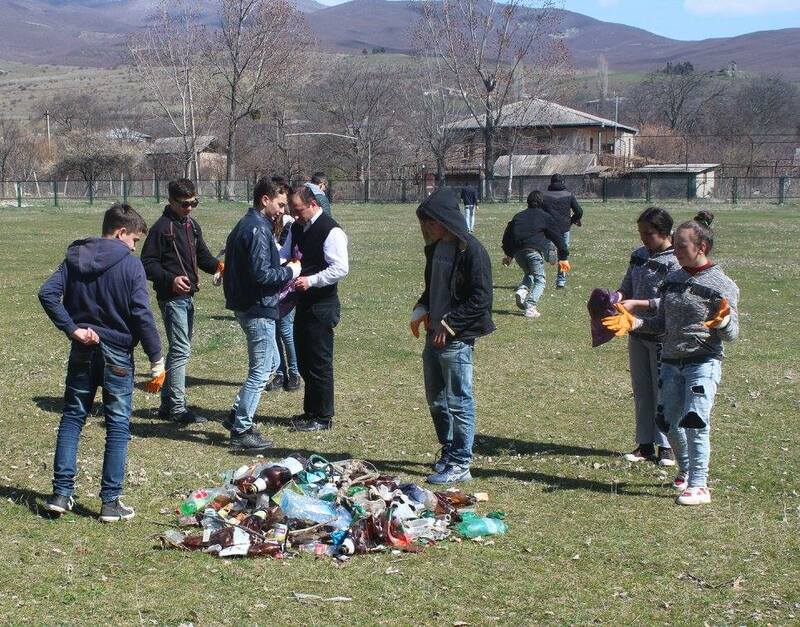 On March 22, on the occasion of Water Resources Protection Day a clean up action has been conducted in Kvareli municipality in the framework of the campaign "Clean Up Georgia". During the action vicinity of Duruji, Bursi and Chagurgula riverbeds were cleaned up. 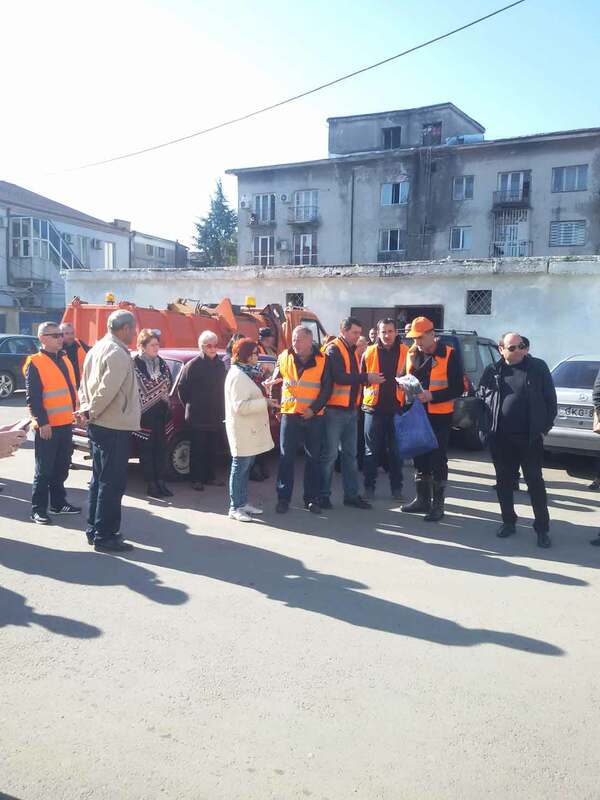 Local self-government representatives and population together with organizers participated in clean up action. In the course of the action about 7 hectares area has been cleaned and 50m3 of waste collected, which were disposed with the help of a cleaning service at the landfill. Around 100 people took part in the action. On the occasion of Water Resources Protection Day a clean up action has been organized by the regional representative of the Greens Movement of Georgia in town Tskaltubo in the framework of the campaign"Clean Up Georgia". 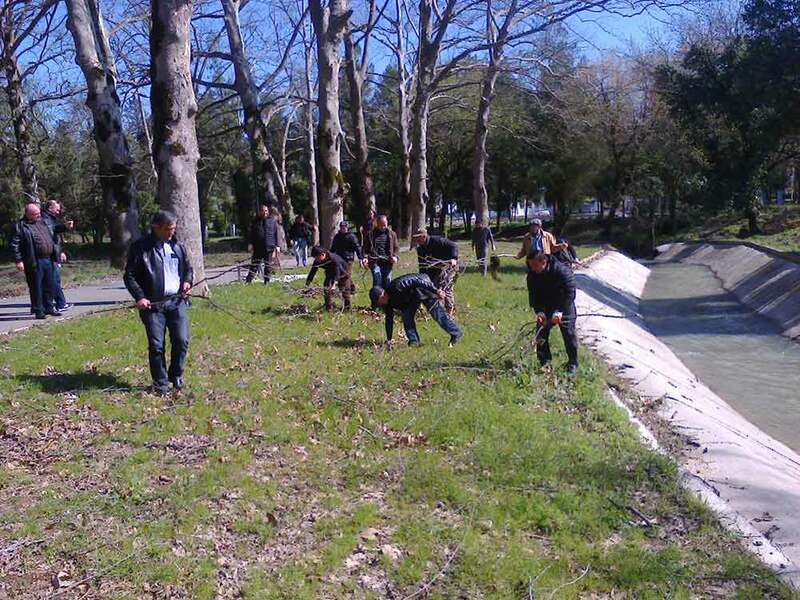 During the action neighborhood areas of 2 canals of river Tskaltubos Tskali, running through the central park of town Tskaltubo and lake Tsivi area were cleaned up. Together with organizers around 60 local residents took part in the action. Around 4.6 ha. area has been cleaned up and 4.2 m3 of waste were collected, which were disposed at the landfill by cleaning service. On the occasion of World Water Day in collaboration with "Global Water Partnership - Georgia" within the framework of "Blue stream" campaign the clean up actions were carried out in Samegrelo region organized by the local coordinator of Greens Movement of Georgia in Samegrelo-Upper Svaneti region. During the actions homestead yards and its surrounding areas, riverbeds and adjacent territories, drainage systems and Anaklia seashore area were cleaned up. Together with organizers representatives of Zugdid, Tsalenjikha and Chkhorotsku municipalities, employees of cleaning services, ,public servants and local residents took part in the actions. 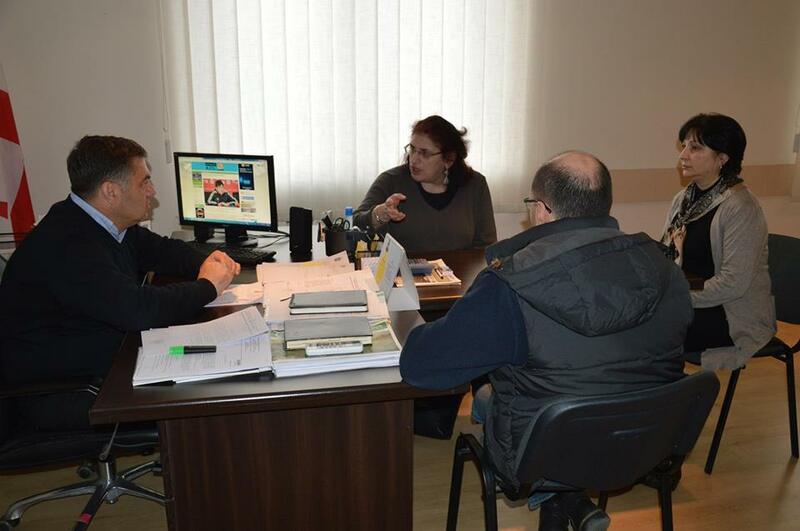 NGO “Ecological Awareness and Waste Management” held a meeting in Tetritskaro Municipality in Kvemo Kartli Region on March 23, 2016. 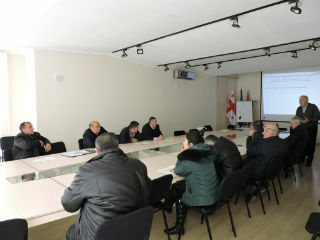 The meeting was held in the framework of the ‘Clean Up Georgia – Phase III” Project and was attended by the representatives of Tetritskaro Gamgeoba (Administrative Body of the Municipality) and subordinate administrative units (a total of 20 people). March 22, World Water Day was marked with actions in Tianeti and Sioni. 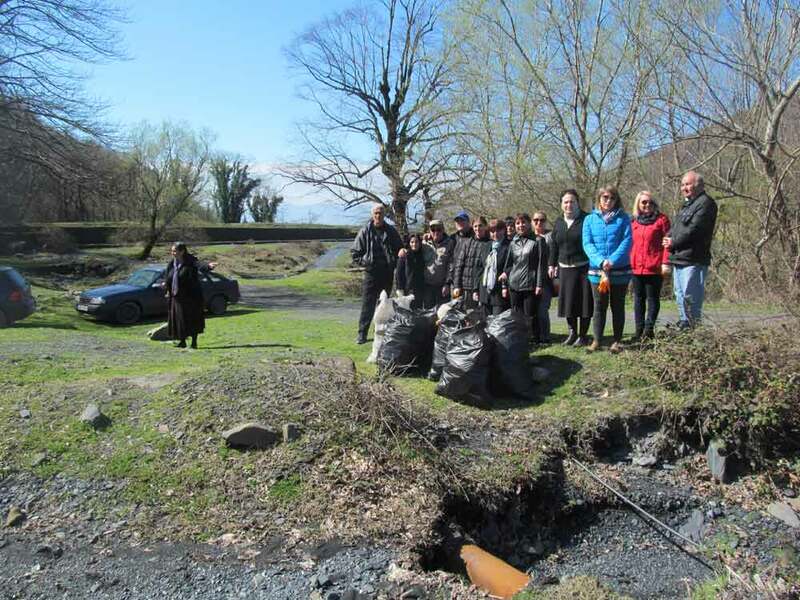 In Borough Tianeti river Kusno neighborhood area and in Borough Sioni reservoir surrounding area were cleaned up. Actions were carried out with participation of members of local Municipality Board, City Council, representatives of non- profit entities, local residents, N1 and N2 of Tianeti public school teachers and students, representatives of administration unit of Sioni, Khevsurtsopeli and Nakalakari. Totally, 200 people took part in the action.